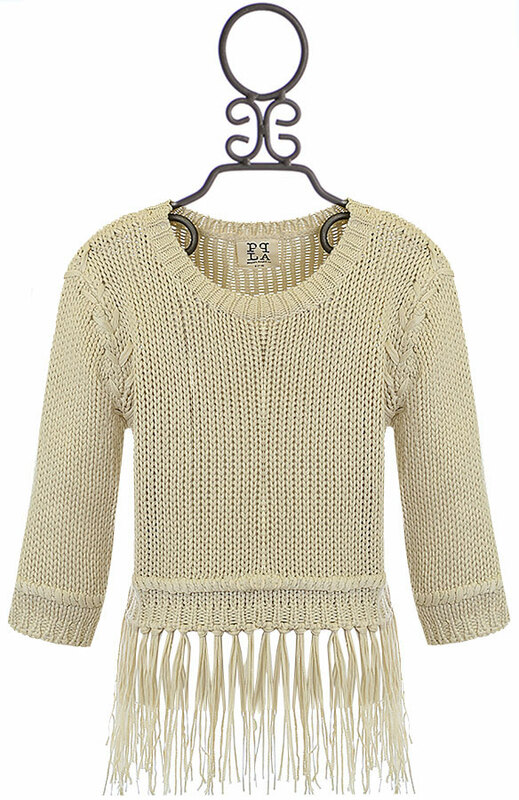 $33 - Chunky knit, a hot trend, fills this beautiful tween sweater from trendy tween designer PPLA. A touch of braiding introduces the long sleeves while fringe falls from the hem. The oatmeal ivory is easy to pair with other pieces from her closet to create a hot outfit. 100% Acrylic. Hand Wash Cold, Lay Flat to Dry. For Best Results Dry Clean.